We have gathered general information about the hotel as well as the most frequently asked questions below. Should you have any other questions, please don’t hesitate to get in touch with us through the contact page. Costs for renting a bicycle are € 12,50 per bike per day, or € 22,50 for electric bicycles. Should you want to rent bicycles on Sundays or during holidays, please let us know well in advance. The bike rental is provided by our nearby situated sister hotel, Hotel Bleecker. Making a reservation is easy and safe. Simply pick the room of your choice and check it for availability. You can directly make the reservation and you will receive a confirmation mail right away. You can also make a reservation by calling the hotel directly (+31 23 5264686) or by sending us an email at info@hotelbloemendaal.nl. Please note that your reservation is confirmed when you receive a confirmation email from us. Free parking is available at the hotel. Please note that there is no surveillance. For children aged 2 years and older, we charge € 30,- per child per night for an additional bed in the room. Baby cots (available for € 15,- per baby per night) are available upon request and to be confirmed by the hotel. Older children or adults are also charged € 30,- per person per night for an extra bed in the room. There is a maximum number of 3 persons allowed per room. Placing additional beds is only possible in luxury rooms and suites. The hotel features several rooms which can be combined into a family room through connecting doors: room 4 and 5, and room 9 and 10. These supplements are not included in your reservation, you will be charged additionally in the hotel. If you don’t have a credit card and wish to pay by bank, 100% of the room price will be charged up front. Please contact us for more information. The complete hotel is a no-smoking zone. If you smoke in the room, you will be charged with a € 250,- fee! The hotel has the right to validate your credit card. To avoid any misunderstandings or miscommunication, cancellation must be done in writing. 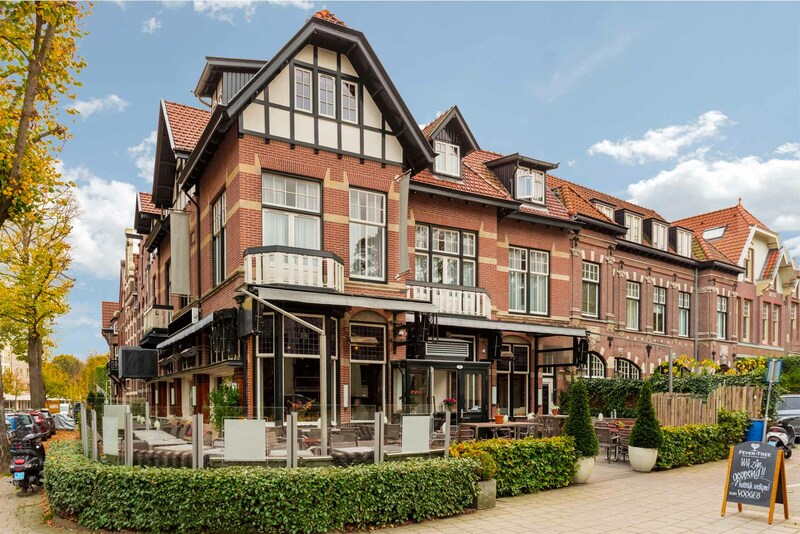 If you have a cancellation insurance and a valid reason for your cancellation, the insurance will reimburse the costs charged by Hotel Bloemendaal. All prices for the arrangements/specials are including service costs, VAT, and excluding €2,30 tourist tax per person per night.